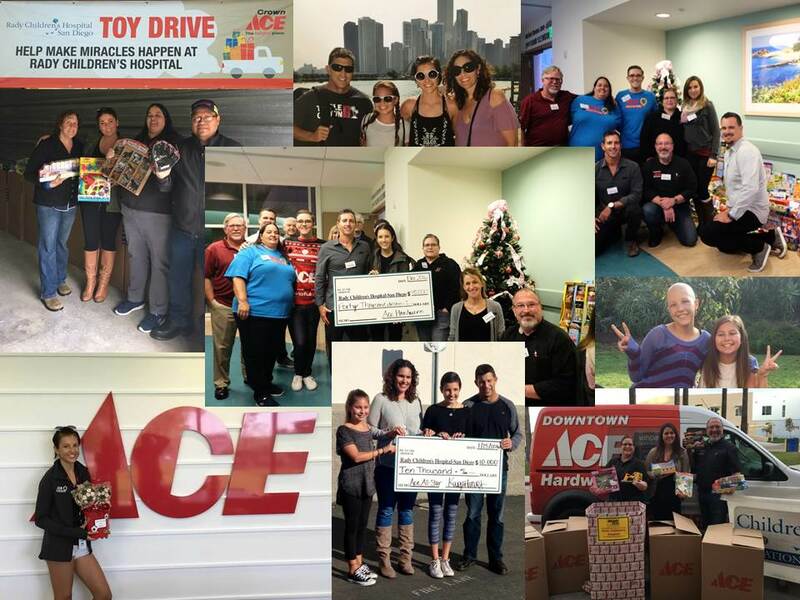 Rady Children’s Celebrates All-Star Year with Ace Hardware – Ace Hardware Corp. In November 2014, the Harvey family learned news that turned their world upside down. Their athletic, active 14-year-old daughter, Kasey, was diagnosed at Rady Children’s Hospital-San Diego with an aggressive, fast-growing cancer called an alveolar rhabdomyosarcoma, a soft-tissue muscle cancer that was found in the maxillary sinus below her left eye. Her treatment involved both chemotherapy and proton radiation therapy, which uses targeted radiation to kill cancer cells while sparing healthy tissue. Kasey endured nearly a year of chemotherapy and proton radiation. During the treatment, with the support of her parents, she began doing everything she could to stay strong. In the weight room at their home, Kasey followed a regimen of cardio and resistance exercises. She went on a diet plan and began doing yoga. Thanks to her fighting spirit, her supportive family and a team of dedicated doctors and nurses at Rady Children’s, Kasey is now in remission. She has resumed her active lifestyle, including playing goalie for her traveling soccer team. On Jan. 25, 2016, Kasey was surprised during an assembly at her school and was crowned the 2016 Ace Hardware National All-Star. 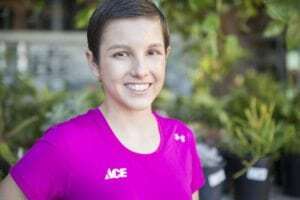 She was selected from a large group of patients from Children’s Miracle Network (CMN) Hospitals across North America to be the face of Ace’s fundraising efforts for the year. That day, the Ace Foundation, through the generosity of P&G and Duracell, made a $10,000 donation to Rady Children’s Hospital-San Diego in Kasey’s name. That day kicked off a year full of surprises as Kasey traveled the country sharing her story with thousands of people to inspire Ace Retailers and customers to support CMN Hospitals. Kasey understood that donations from Ace Hardware and other CMN Hospitals partners were critical in helping to provide the quality of care she needed to win her battle with cancer, and she was ready to pay it forward! Ace Hardware retailers and customers welcomed the Harveys into their Ace family, and the Harveys began visiting retailers and attending events every couple weeks. Kasey and her family had a whirlwind year traveling all over Southern California and even to Chicago, Houston and Las Vegas to help raise funds and awareness for CMN Hospitals. In early 2017, Kasey will complete her All-Star duties with two final trips to Orlando and Hawaii. San Diego Ace Hardware retailers were so inspired by Kasey’s story that they vowed to increase their fundraising for Rady Children’s in her honor. By December 2016, San Diego retailers had more than doubled their fundraising efforts, raising more than $40,000 as well as collecting more than 2,500 toys during the holiday season. In mid-December, Ace Retailers had one more surprise for the Harvey family. They donated their funds to Rady Children’s and named the Row Boat in Carley’s Magical Garden – a special place for Rady Children’s cancer patients to play outside – in Kasey’s honor. Previous post: Meet the 2017 Ace All-Star!